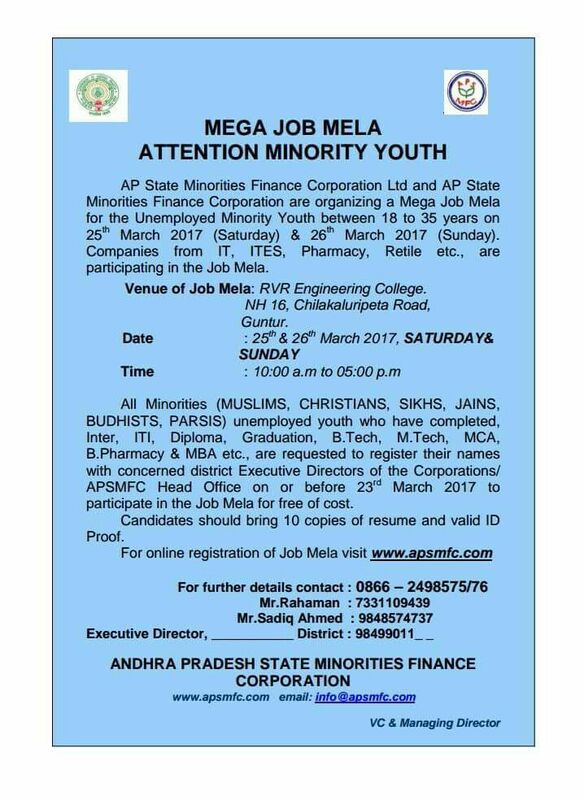 AP State Minorities Finance Corporation Ltd and AP State Minorities Finance Corporation are organizing a Mega Job Mela for the Unemployed Minority Youth between 18 to 35 years on 25° March 2017 (Saturday) & 26′ March 2017 (Sunday). Companies from IT, ITES, Pharmacy, Retile etc., are participating in the Job Mela. Venue of Job Mela: RVR Engineering College. NH 16. Chilakaluripeta Road, Guntur.